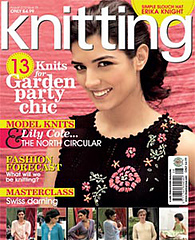 This is a very girly design knitted in Garnstudio Drops Cotton Viscose and it made the cover of the magazine. There are vertical stripes of lace across the upper bust and back with a deep slit opening at the back fastened with a single button. Both of these designs are ‘new’ in that they’ve never been published in any magazine although they were actually designed and knitted about 5 years ago. They’ve been sort of sitting ‘unpublished’ in a safe corner of my studio as I wasn’t quite sure what I wanted to do with them. I’ve taken inspiration for them from the stunningly decorated clothing of the Hmong hill tribe in North Vietnam. 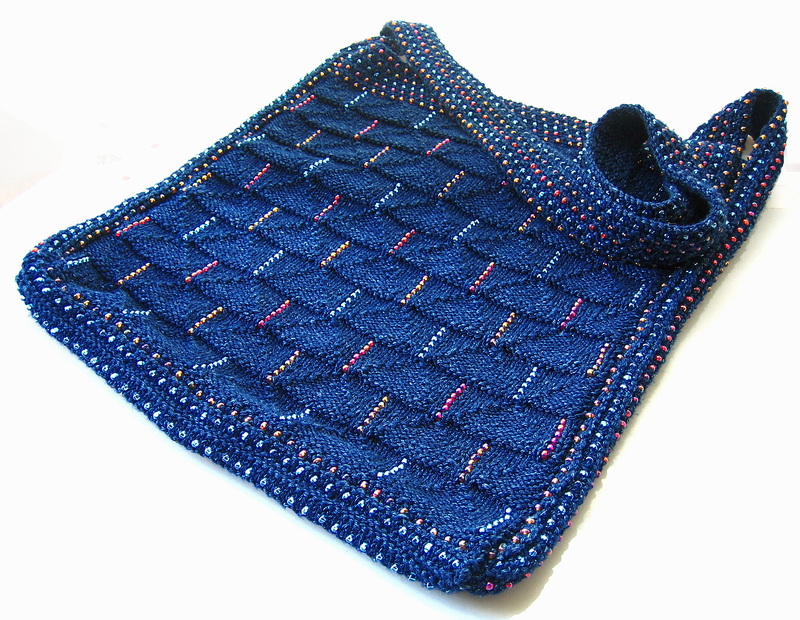 The Hmong were reknowned for their indigo dyed costume so I’ve knitted these bags in Rowan Denim and since the patterns take into account the shrinkage of the yarn I’d advise against using substituting other yarn. 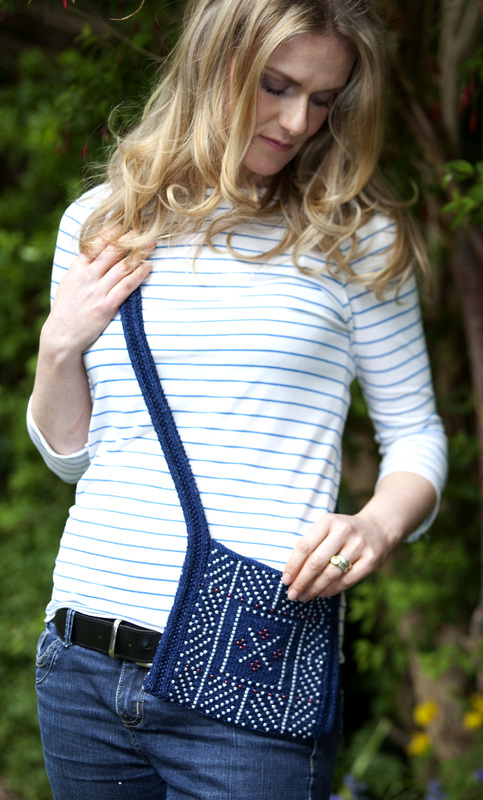 ‘Sapa’ the smaller of the two designs, is an easy to wear design is suitable for knitters from advanced beginner upwards. 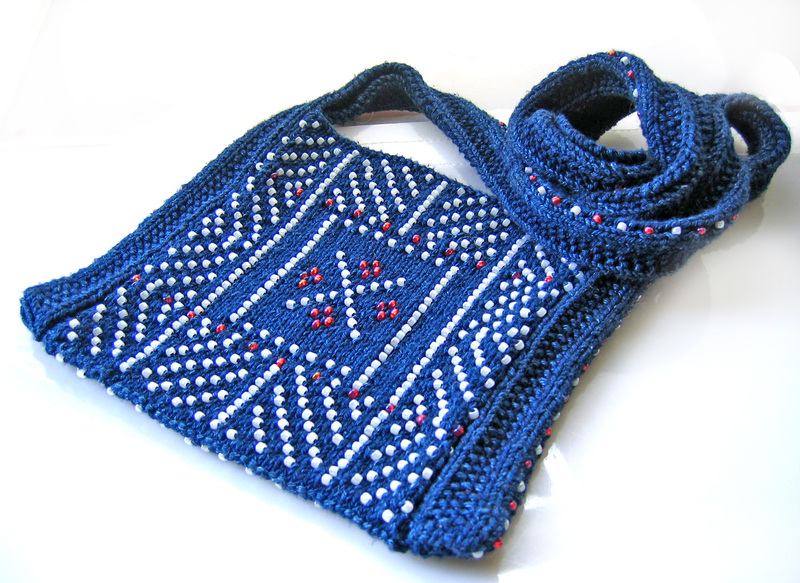 Knitted on straight needles the decoration is created by knitting with 2 colours of beads with shaping kept deliberately simple so that you can enjoy the beadwork.The long strap is also beaded in alternate colours and folded to create the gusset where it meets the main body of the bag. 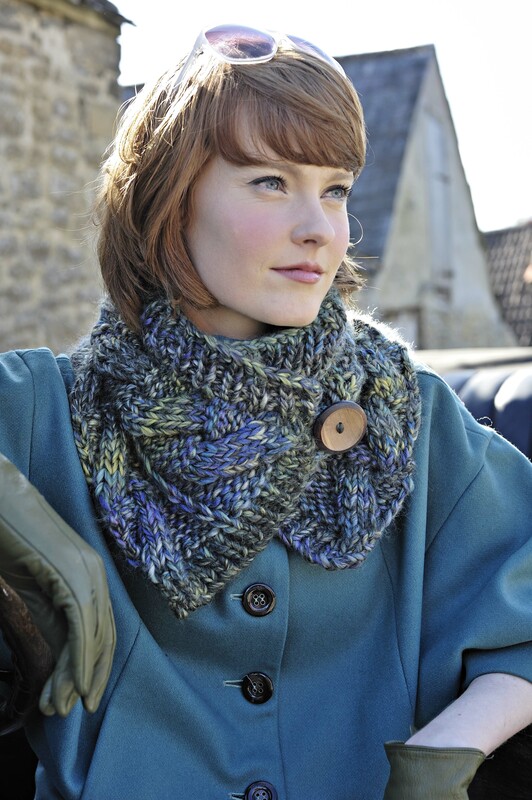 ‘Gaia’ is larger in size and also suitable for knitters from advanced beginner upwards. 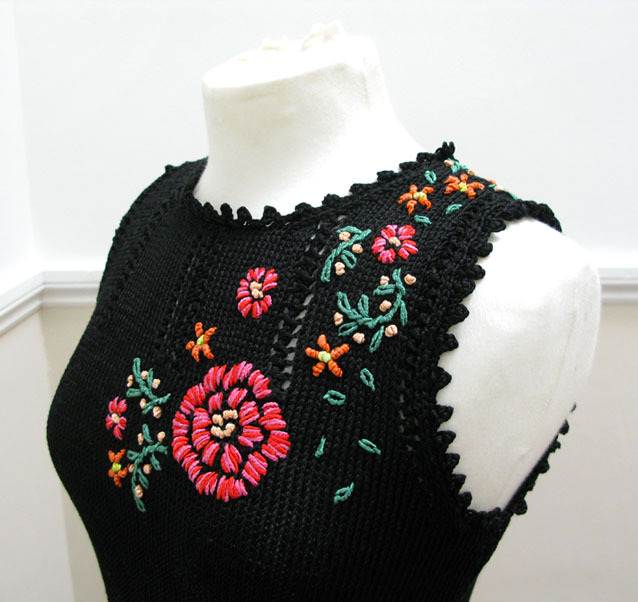 It’s also knitted on straight needles with the decoration is created by knitting with 3 colours of beads incorporated into a stitch pattern called ‘Thunderbird’. This is my first design for ‘Knitting’ magazine though I’ve been working for them hosting ‘Ask Jeanette’ for over a year now. 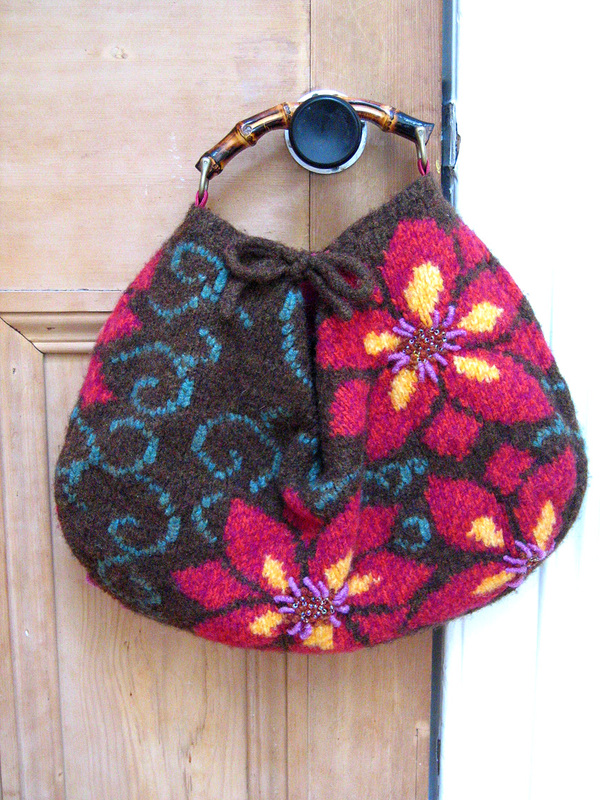 Yep it’s another felted bag – you can never have too many of them – and this one is knitted in Jamieson and Smith’s 2 ply Jumperweight which is pretty much my felting yarn of choice at the moment. 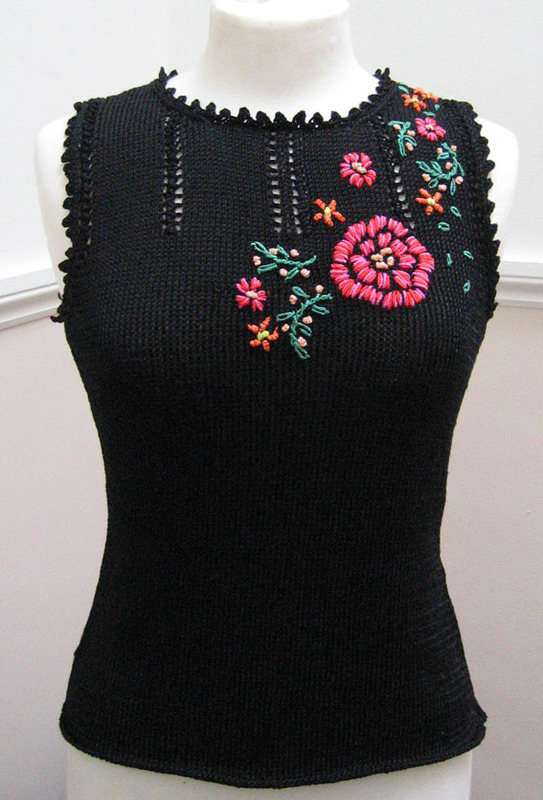 It’s a nice generous size so you can get plenty into it and it’s worked in intarsia with details in the centre of the flowers picked out in bullion knots and beading both of which are added after felting. 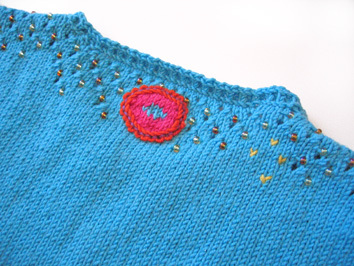 Short row shaping is used to create the curved base and the yarn is used doubled throughout. 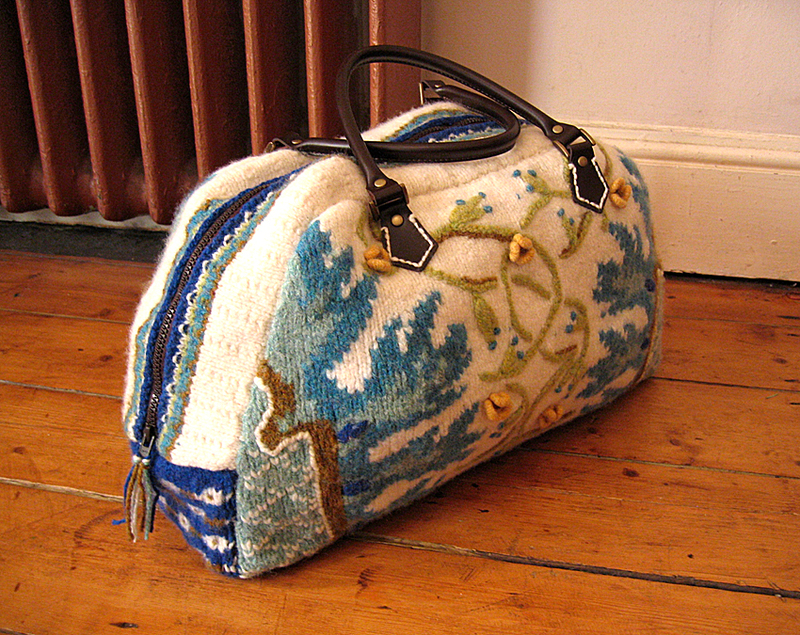 I don’t usually like lining knitted bags but I felt this one needed it so I’ve used a taffetta fabric which has a bit of stiffness to it which helps to keep the shape once it’s being used. 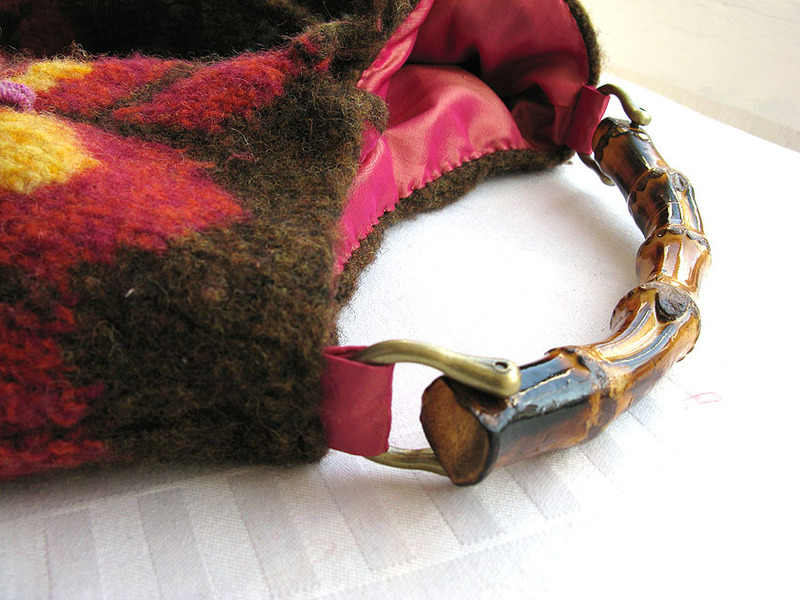 The bamboo handle is secured in place by 2 fabric stays which are sandwiched between the felted outer and the fabric lining. 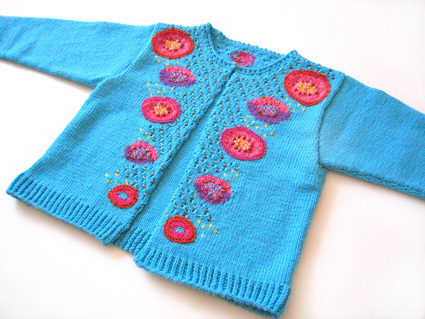 This child’s cardigan was designed with echoes of ladies’ vintage sweaters and cardigans that were richly beaded & embroidered for wearing to parties.The pattern motifs and exotic bright colour clashes are inspired by the type of decoration found in nature on butterflies in tropical climates. I’ve focused the patterning down the front opening of the cardigan and it’s worked in a rich mixture of intarsia and beaded lace. There are details picked out with Swiss darning and Pekinese stitch whilst large areas of stocking stitch provide a bit of ‘calm’ contrast to all that decoration. 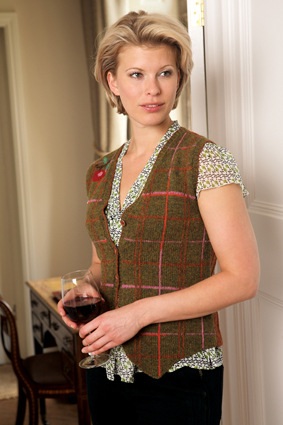 The cardigan fastens at the neck with a single hook and eye closure. 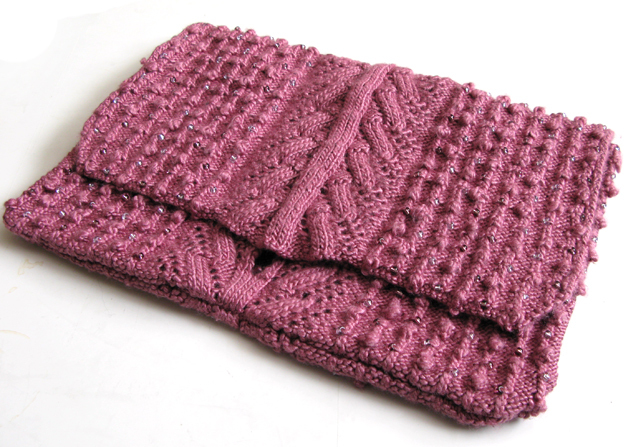 Thanks again to my lovely friend June who knitted this up for me, the yarn is Lang Yarns’ Merino 150 and Fantomas Color. 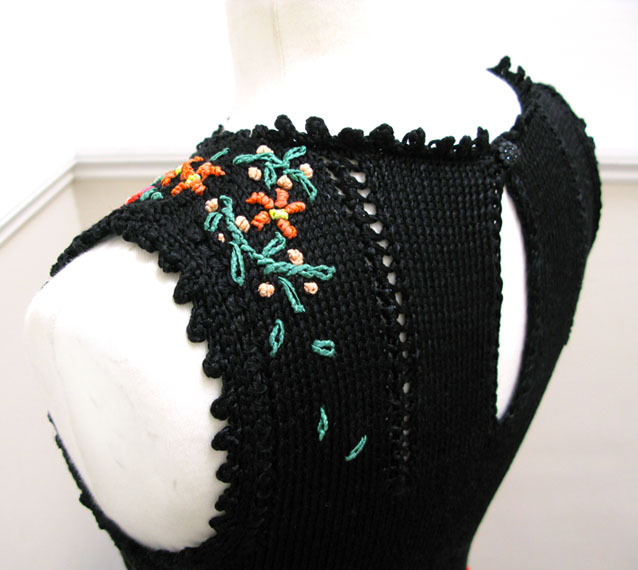 I am SO chuffed with this design not only because I think it’s really wearable but also because it’s my second cover design for The Knitter (the first being Maggiore, below ). At some point in the future I’m hoping to add some background info on the designs with some little hints on certain techniques but when that will be, I can’t say. Until then enjoy this design . . .
For this design I’ve used a combination of Twilleys Freedom, Gorgeous and Happy and I was really pleased with how the design was shot by the magazine, simple and elegant – what a lot of adjectives in one sentence. Just in time for the drop in temperature which is due the end of this week this design is meant to make you feel toasty. It’s a very simple idea combined with a big cable and a couple of other interesting techniques to present a challenge but at the same time allowing you to knock a couple out as last minute gifts. 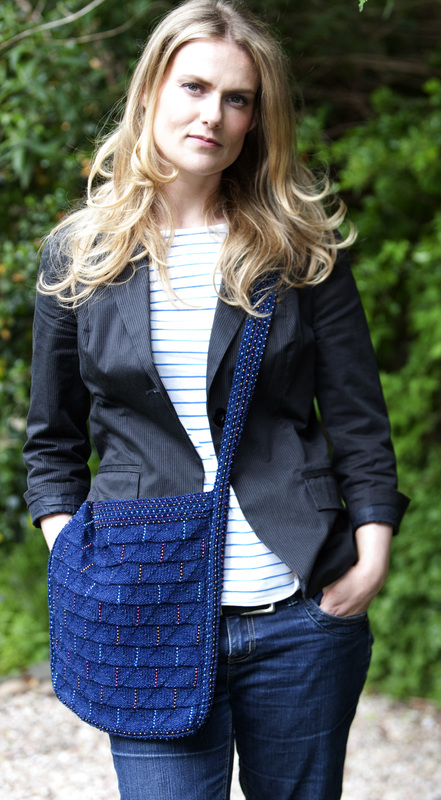 It’s been said by some that this bag is over the top – well it was meant to be! 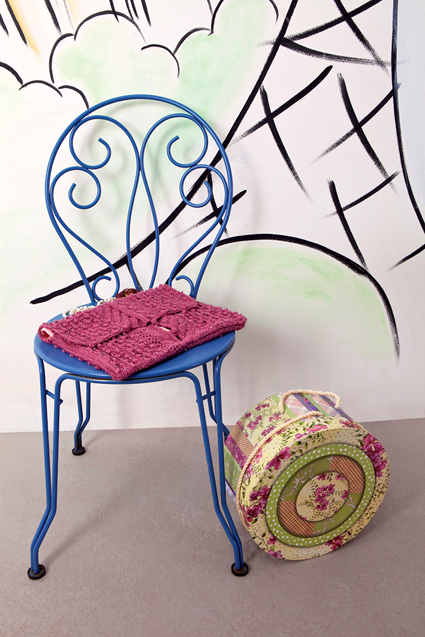 Published in The Knitter, issue 10 I wanted to create something that evokes something of the souks in Marrakesh – lots of different textures, over the top embellishment and bright colour. 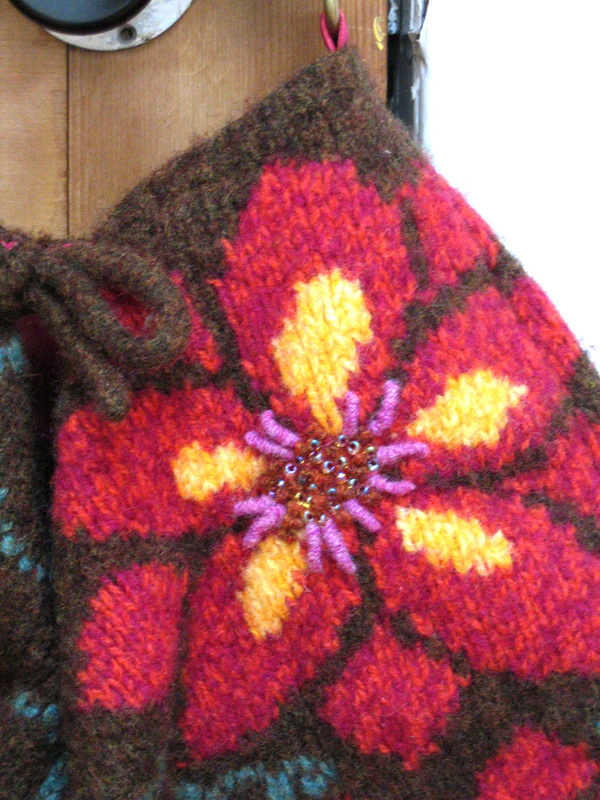 Knitted in Jamieson and Smith’s 2ply Jumper weight and then felted I loved knitting this design as it’s sparked off lots of other ideas for bags. 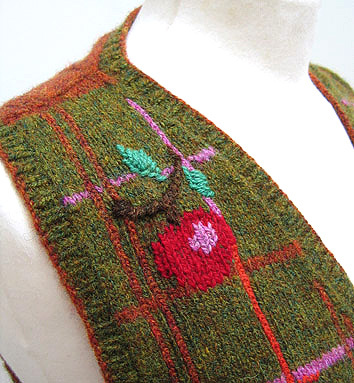 This shawl was designed for ‘The Knitter’ magazine, issue 08. 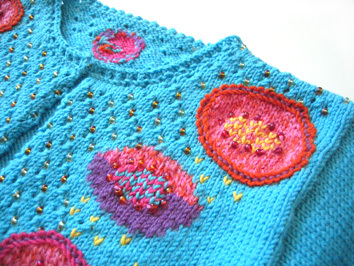 It combines a very simple open lace stitch background (worked in a wonderfully soft 100% silk by The Knitting Goddess) with large, beaded centred flowers worked in intarsia using Scrumptious DK, by Fyberspates. I love the textural contrasts created by using very fine yarns with much thicker yarns and this shawl has a lovely fluid quality emphasised by the pointed lace edging which is added on afterwards. I must say a HUGE thank you to my lovely friend June who knitted this up for me. 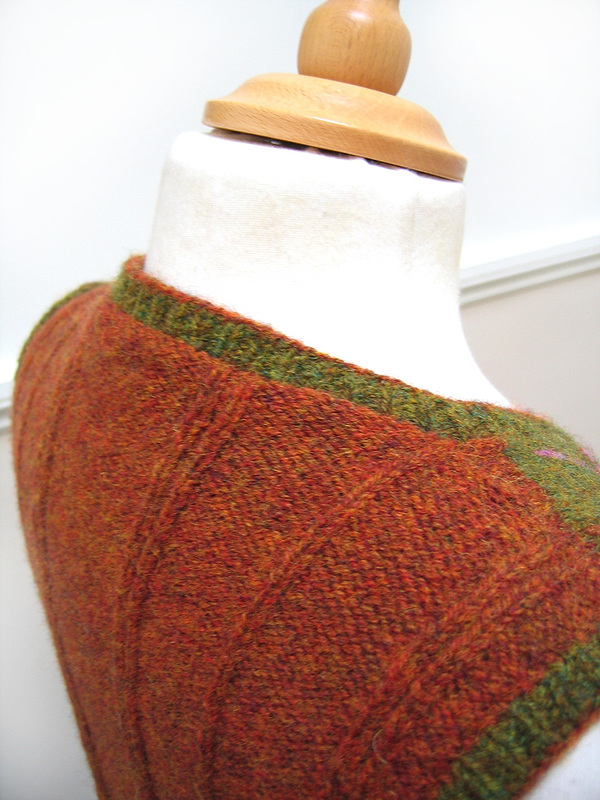 This design was published in the second issue of ‘The Knitter’, using Fyberspates’ Merino Tencel Dream. The name of the design comes from the Bleeding Heart lace pattern that is worked on top of the foot whilst the sole and heel of the socks are worked in a slip stitch pattern that gives a denser more durable fabric. Just wanted to wish you Good Luck for the Country Living Show. 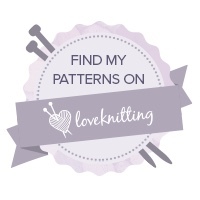 I hope you get lots of new customers and interest in your stuff! Beautiful, tasteful designs! 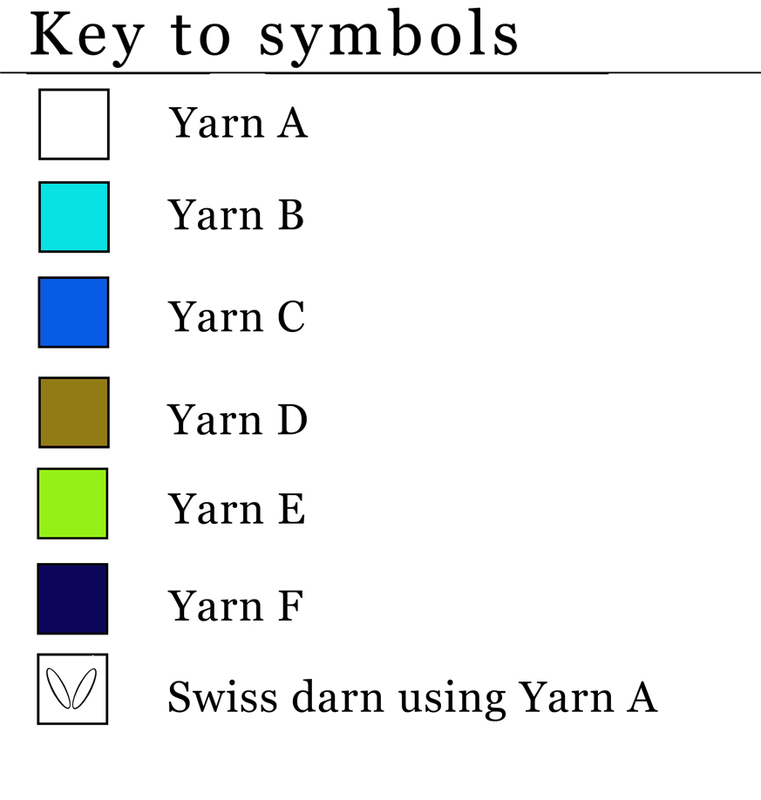 Today I’m buying your wonderful scarf pattern on Ravelry. I wish you the best, Jeanette! All the items are awesome!